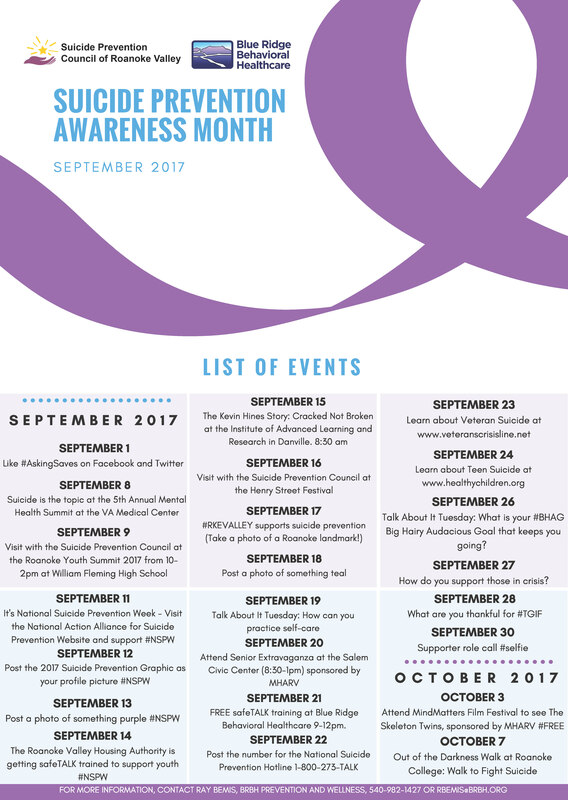 Throughout September, Family Service and our fellow mental health organizations across the Roanoke Valley focus on Suicide Prevention and Awareness. 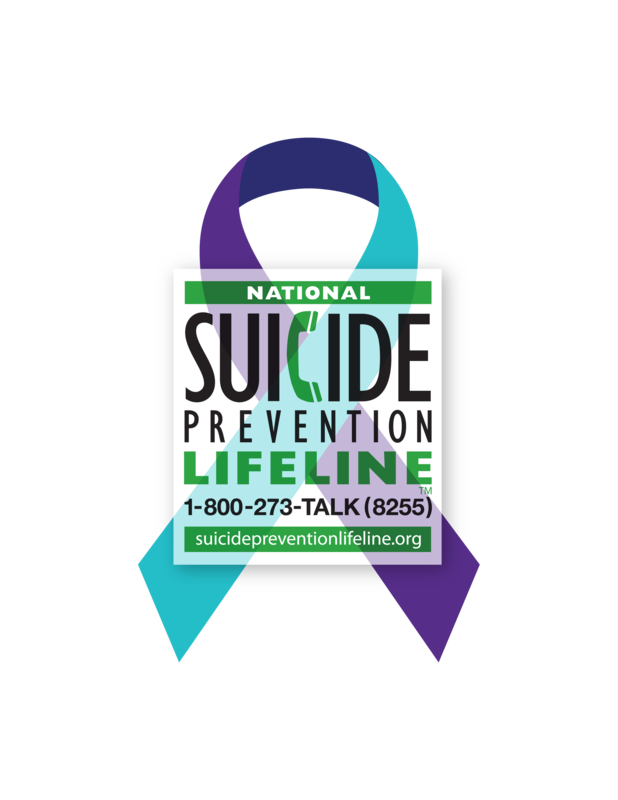 Part of the reason Suicide Prevention Awareness Month is in September is because incidents ofsuicide actually increase in the fall and also in the spring–as seasons change and life changes pace from the leisure of summer or the dormancy of winter. "Suicide rates spike in the spring and to a lesser extent in the fall, according to the Centers for Disease Control and Prevention, not around the holidays as everyone suspects. And in fact, suicides in general have increased 24% between 1999 and 2014, according to a CDC report," according to the CNN article. As I shared on this blog last week, my oldest brother died by suicide in the spring. I remember it feeling strange at the time for a number of reasons. The actual day of his death was one of those beautiful spring days, the breezy, gentle type of day you long for all winter long. Similar to today, the sky was bright blue and the clouds made you want to jump into them like a Care Bear. In spring, life reemerges. In fall, it reinvests. As leaves fall to create the bed of nutrition needed to sustain life through the winter, and creatures prepare their cold weather stashes of food and manes of warmth–this reinvestment is obvious all around us. Life sustains itself by believing in its own self-importance and committing to self-sufficiency. That may not be as true for someone affected by major depression, bipolar, suicidal ideation, self-harm, and other mental health concerns that deplete an individual’s ability to invest in their own self-preservation. Many may think of wintertime as the time people struggle with depression and loneliness, and that is certainly true. As in the case ofSeasonal Affective Disorder(SAD), changes in light and season affect mood. So do changes in the world around you, which inherently cause changes within you–emotionally and physically. That is why we need you. To see these sometimes subtle changes in a friend or loved one and to act. Now is the time to pay attention. Not only because it’s Suicide Prevention Awareness Month. Because it is the time, it is always the time. It is time to be the one to reach out and ask a friend the tough question: "I’ve noticed you’ve been staying to yourself a lot. Are you thinking of hurting yourself?" Now is the time to talk to a professional about how losing a friend to suicide continues to impact you. It’s always the time to be grateful for each day and careful with each interaction with others. Be the one to make this a season–not of loss and despair, but of belief in oneself and in what comes next. Take part in the local ‘s plan to raise awareness, support and resources throughout this month. . Be on the lookout for our social media posts all month long to learn more of what you can do.